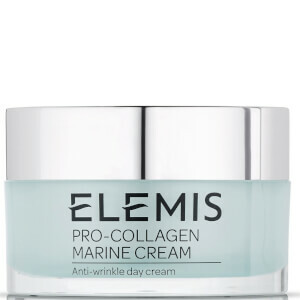 Discover the ELEMIS Pro-Collagen Capsule Collection; a three-piece kit that has been clinically tested to soften the appearance of fine lines and wrinkles for improved skin texture and tone. Housed in a branded cosmetic case. Enriched with a potent blend of Padina Pavonica and Ginkgo Biloba, the anti-ageing day cream smooths over skin to help minimise the appearance of fine lines and wrinkles for a younger-looking visage. Lightweight and quick-absorbing, the luxurious formula envelops the face in a veil of essential moisture, which improves elasticity and suppleness, whilst ensuring skin feels calm and comfortable. Fortified with Padina Pavonica (a unique Mediterranean algae) and revolutionary Smart Drone Technology that acts as a targeted delivery system, the lightweight night cream delivers firming benefits for skin that bounces back to life. Absorbing quickly without greasy residue, the luxurious treatment helps to support the skin's barrier function and combat the damaging effects of stress, pollution and fatigue. Minimises the appearance of fine lines and wrinkles, whilst replenishing and revitalising for a bright, healthy complexion come morning. An innovative formula that targets fine lines and wrinkles around the delicate eye area for a smoother, more refined appearance. Super active Padina Pavonica and Blue Flower Linseed (rich in protein, minerals and omega 9) deliver toning and firming benefits, whilst a unique Amino Acid complex locks moisture deep into the skin. 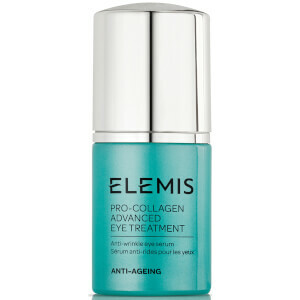 Expect a youthful-looking eye contour with improved tone and texture. Day Cream: Warm a pea-size amount between the palms. Gently smooth over the face, neck and décolleté. 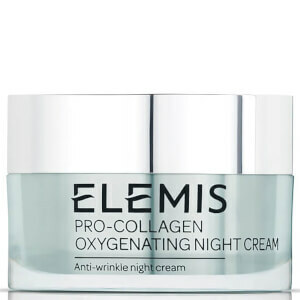 Night Cream: To be used every evening, before bed. After cleansing and toning, warm a pea sized amount between the palms and gently glaze over the face, neck and décolleté. Always use upward stroking sweeping motions when applying moisturiser to the face. Avoid direct contact with eyes. Eye Treatment: Use daily, morning and evening. 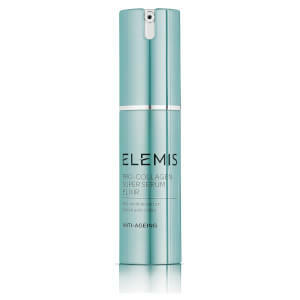 Dispense one to two drops onto the ring fingers and lightly pat around the eye contour. Day Cream: Aqua/Water/Eau, Glycerin, Glyceryl Stearate SE, Simmondsia Chinensis (Jojoba) Seed Oil, Helianthus Annuus (Sunflower) Seed Oil Unsaponifiables, Dicaprylyl Carbonate, Isononyl Isononanoate, Dimethicone, Cetearyl Alcohol, Coco-Caprylate/Caprate, Polyacrylate-13, Phenoxyethanol, Tocopheryl Acetate (Vitamin E), Stearic Acid, Fragrance (Parfum), Lauryl Laurate, Sodium Benzoate, Xanthan Gum, Glyceryl Polyacrylate, Polyisobutene, Theobroma Cacao (Cocoa) Seed Butter, Potassium Sorbate, Triticum Vulgare (Wheat) Germ Oil, Citric Acid, Daucus Carota Sativa (Carrot) Root Extract, Tocopherol, Chlorella Vulgaris Extract, Glyceryl Acrylate/Acrylic Acid Copolymer, Padina Pavonica Thallus Extract, Disodium EDTA, Polysorbate 20, Sorbitan Isostearate, Ginkgo Biloba Leaf Extract, Hydroxyisohexyl 3-Cyclohexene Carboxaldehyde, Rosa Centifolia (Rose) Flower Extract, Acacia Decurrens Flower Extract, Porphyridium Cruentum Extract, Butylphenyl Methylpropional, Linalool, Citronellol, Cedrus Atlantica Bark Oil, Cuminum Cyminum Seed Oil, Citrus Limon (Lemon) Peel Oil, Limonene, Geraniol, Hydroxycitronellal. Night Cream: Aqua/Water/Eau, Glycerin, Olus Oil/Vegetable Oil/Huile Végétale, Propanediol, Behenyl Alcohol, Squalane, Butylene Glycol, Octyldodecanol, Dicaprylyl Carbonate, Helianthus Annuus (Sunflower) Seed Oil, Phenoxyethanol, Acrylates/C10-30 Alkyl Acrylate Crosspolymer, Beheneth-25, Glyceryl Acrylate/Acrylic Acid Copolymer, Benzoic Acid, Lavandula Angustifolia (Lavender) Oil, Disodium EDTA, Dunaliella Salina Extract, Rhizobian Gum, Sodium Hyaluronate, Dehydroacetic Acid, Linalool, Lavandula Hybrida Oil, Pelargonium Graveolens Flower Oil, Padina Pavonica Thallus Extract, Geraniol, Eucalyptus Globulus Leaf Oil, Chlorphenesin, Plankton Extract, Anthemis Nobilis Flower Oil, Citronellol, Potassium Sorbate, Sodium Benzoate, Caramel, Cinnamomum Camphora (Camphor) Wood Oil, Limonene, Mentha Arvensis Leaf Oil, Tocopherol, Xanthan Gum, Caprylyl Glycol, Citrus Aurantium Dulcis (Orange) Oil, Fragrance (Parfum), Tephrosia Purpurea Seed Extract, Vitis Vinifera (Grape) Seed Oil, Menthol, Eugenia Caryophyllus (Clove) Leaf Oil, Sodium Hydroxide, Glyceryl Caprylate, Lactic Acid/Glycolic Acid Copolymer, Phenylpropanol, Palmitoyl Tetrapeptide-50, Polyvinyl Alcohol, Heptapeptide-15 Palmitate. Eye Treatment: Aqua/Water/Eau, Propylene Glycol, Glycerin, Oryza Sativa (Rice) Hull Powder, Ammonium Acryloyldimethyltaurate/ VP Copolymer, Sclerotium Gum, Diazolidinyl Urea, Sodium Benzoate, Sodium PCA, Disodium EDTA, Sodium Lactate, Potassium Sorbate, Arginine, Aspartic Acid, Hydrolyzed Wheat Protein, PCA, Centaurea Cyanus (Cornflower) Flower Extract, Linum Usitatissimum (Linseed) Seed Extract, Hydrolyzed Hyaluronic Acid, Glycine, Alanine, Aesculus Hippocastanum (Horse Chestnut) Seed Extract, Serine, Valine, Linalool, Caramel, Threonine, Isoleucine, Proline, Fragrance (Parfum), Anthemis Nobilis (Chamomile) Flower Oil, Lavandula Angustifolia (Lavender) Oil, Lavandula Hybrida (Lavandin) Oil, Osmanthus Fragrans Flower Extract, Phenoxyethanol, Histidine, Phenylalanine, Sodium Hydroxide, Padina Pavonica Thallus Extract. I’m absolutely blessed with Elemis skin care. I bought one time in sale from John Lewis and couldn’t do better. I was a bit worry about pricey product for cream but it’s worth money! Cream it’s just so smooth and silky refreshing feeling after you use. My face it’s feel great moistures tight and just glowing smell Amazing, smell it’s something else it just perfect I can describe how good feeling it’s just right enough. After couple Of use you definitely feel different on your face. Highly recommend ❤️❤️ Love it! !